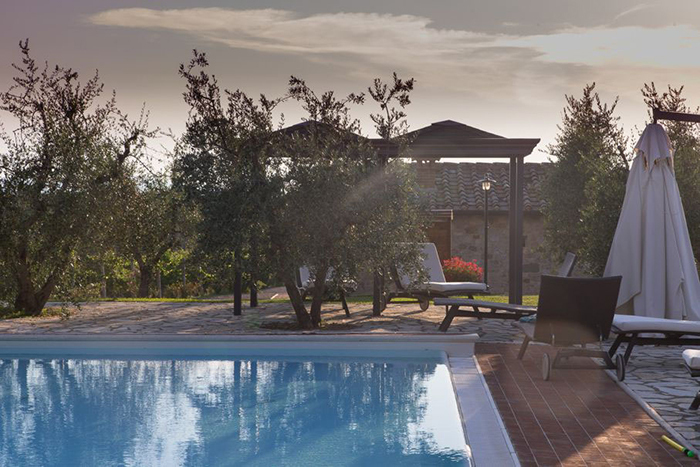 Villa Nova dates back to the early 1800’s, when it was a country farmhouse. 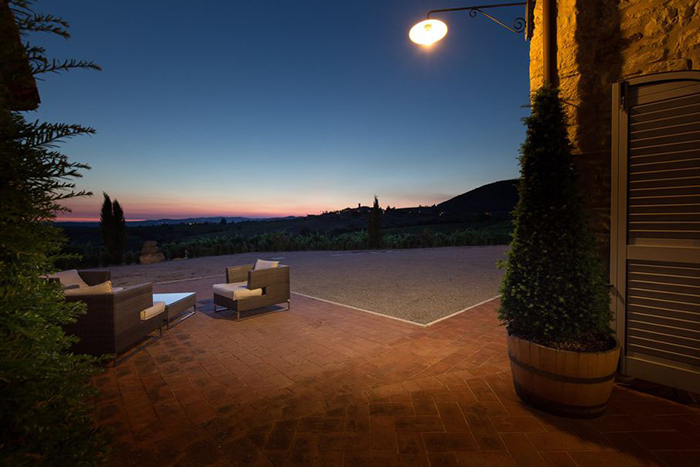 It is in the unmistakably beautiful Chianti Classico countryside, at a short distance from the town of Castelnuovo Berardenga. 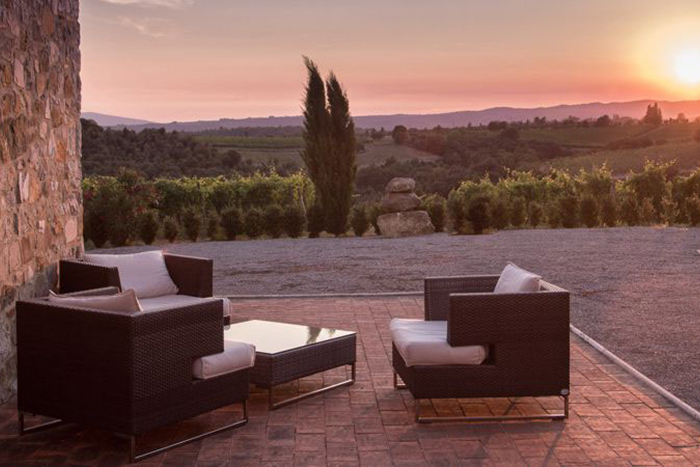 It is on the Via Chiantigiana – a country route that runs through the most renowned vine-growing and wine-making region in Tuscany. 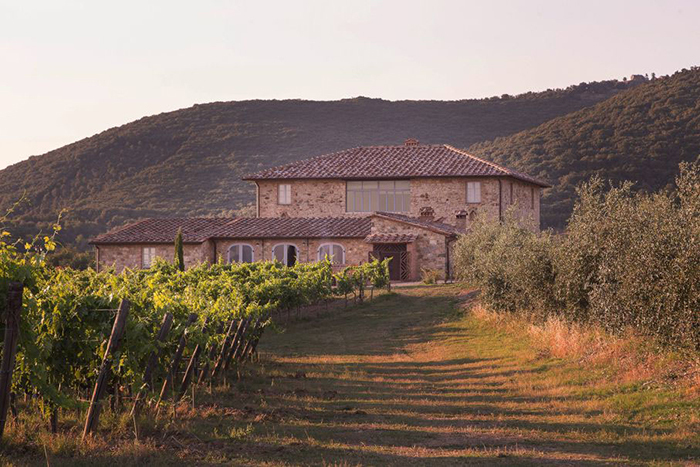 The villa, with its stone facade, set in vineyards and olive groves, looks out over a breathtaking panorama. 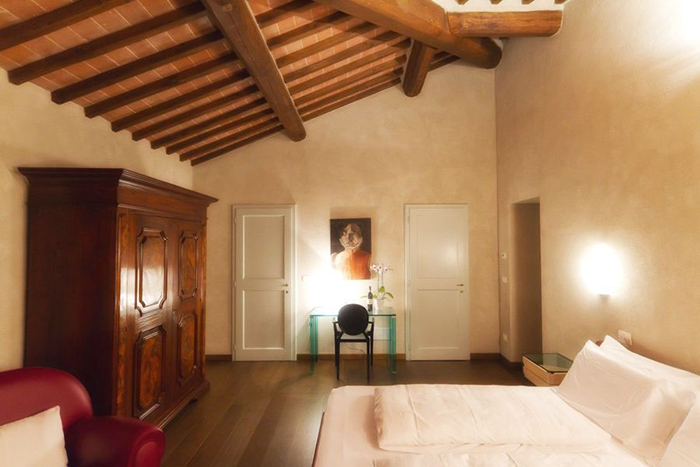 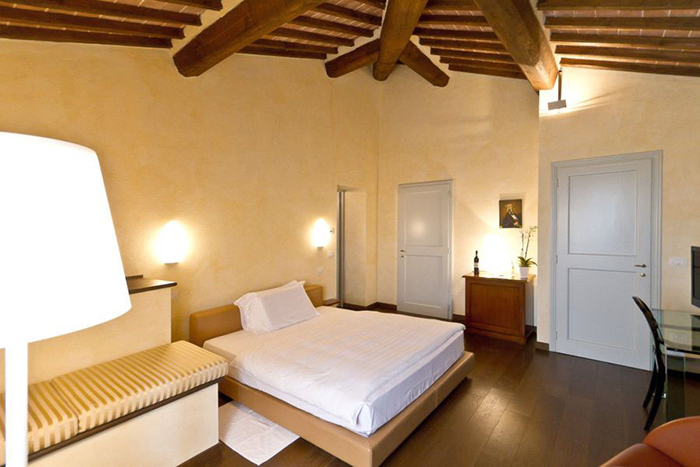 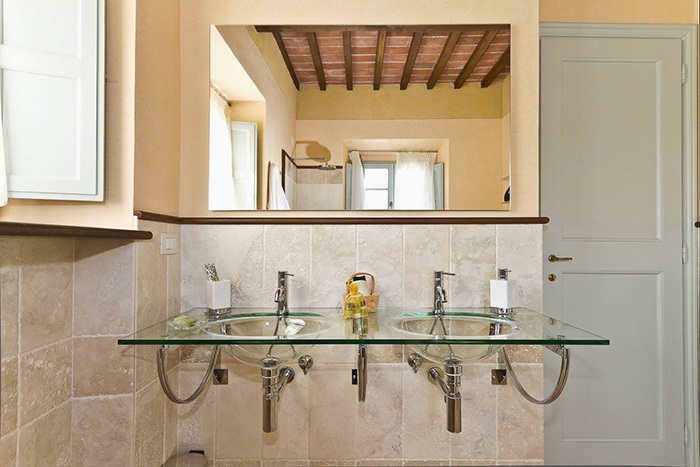 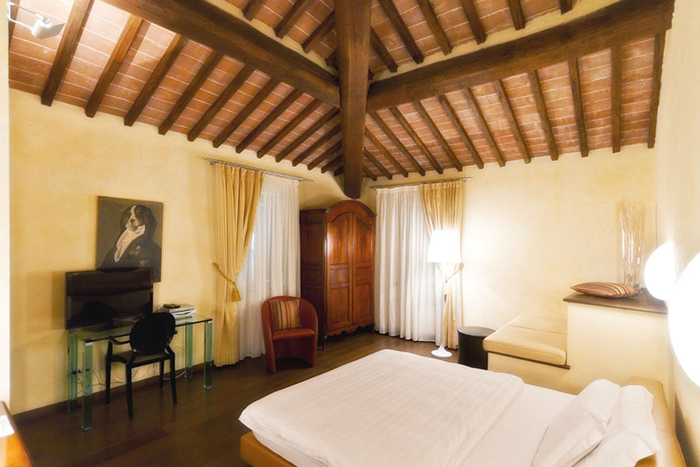 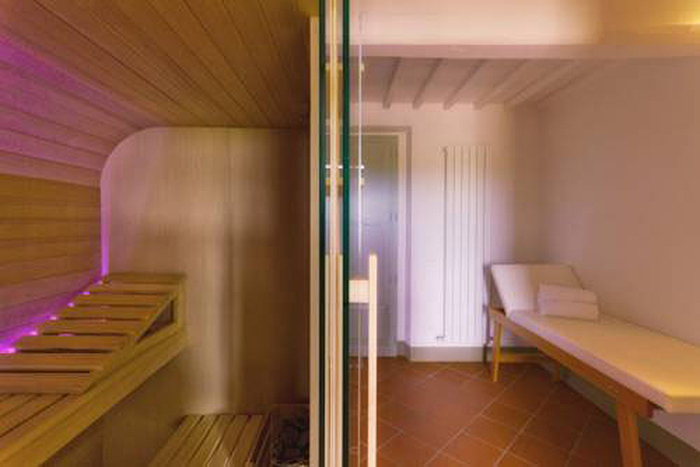 The interiors use traditional Tuscan materials; with floors in handmade Florentine terracotta and exposed-beamed ceilings. 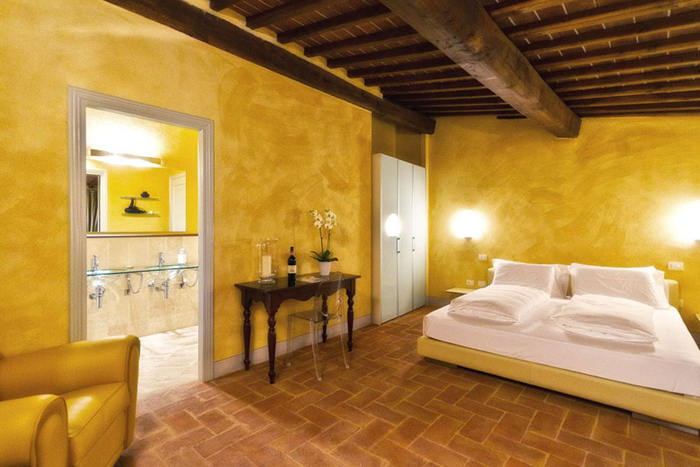 The restoration has combined traditional features with modern luxuries such as the pool and the private wellness suite. 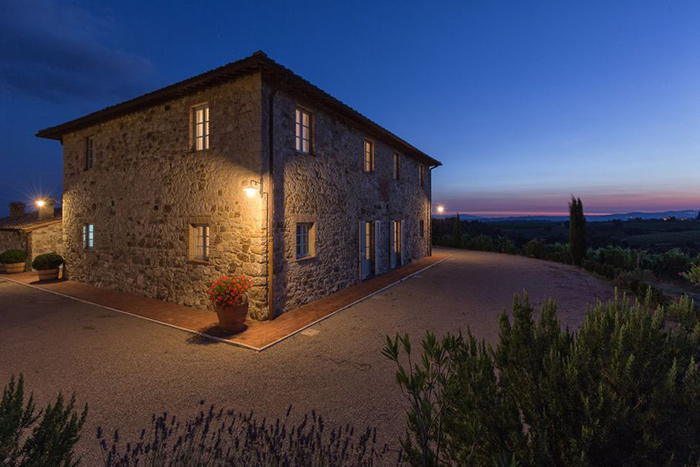 The villa is located in central Tuscany and is a perfect location for visiting all the main cities of interest such as Siena (27km), Florence (73km), Arezzo (62km), Cortona (60km). 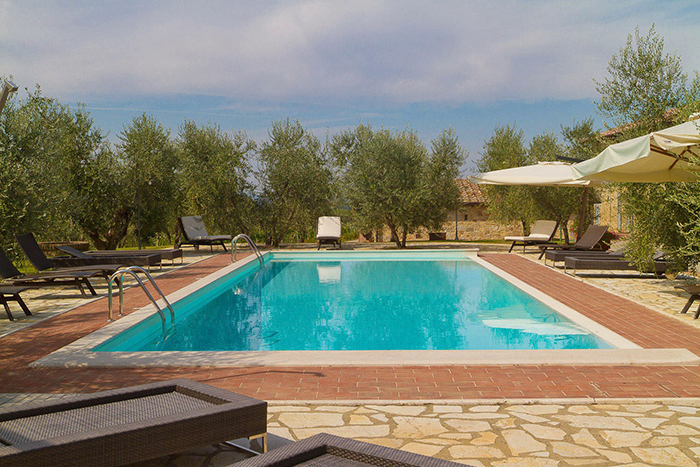 Prices include: Welcome cocktail, WI FI internet, linen and towels (changed weekly), pool towels (changed weekly). 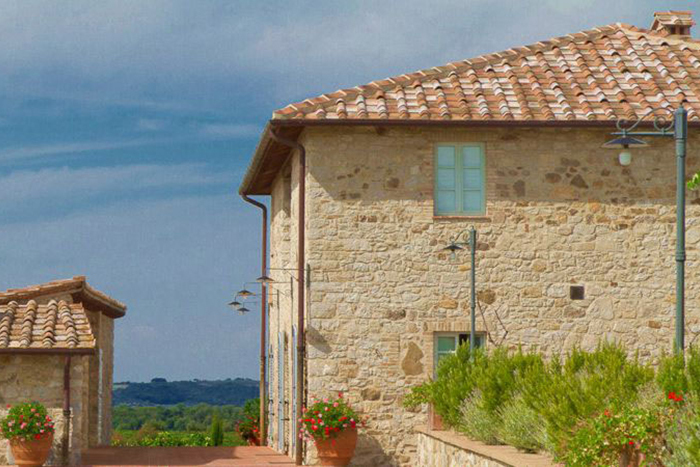 Local Tourist Tax: €1.50 Euro per person over 12 years per day. 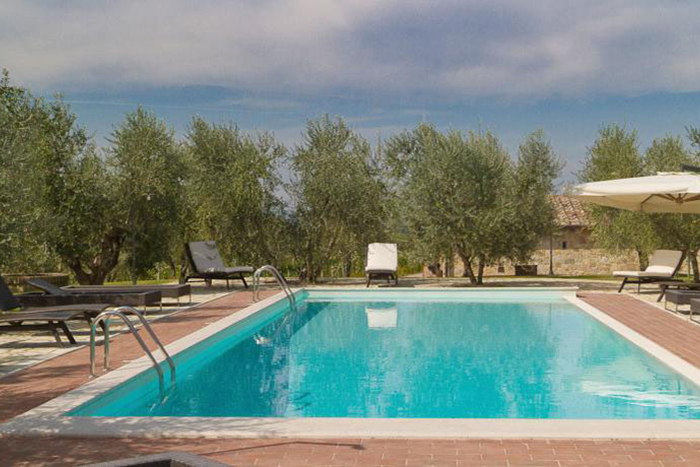 Payable in cash on arrival. 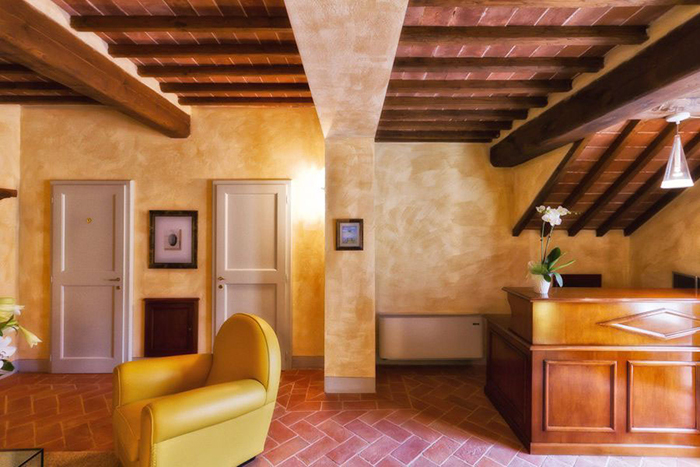 Security Deposit: €500 payable in cash on arrival and refunded on departure. 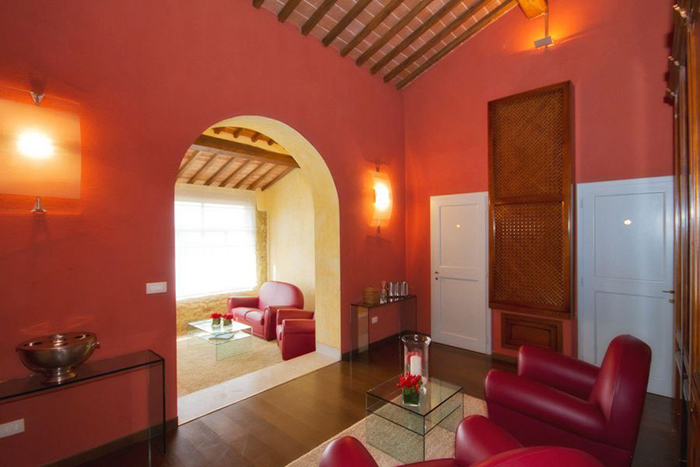 The property is made up of two buildings: the main villa and an adjacent cottage. 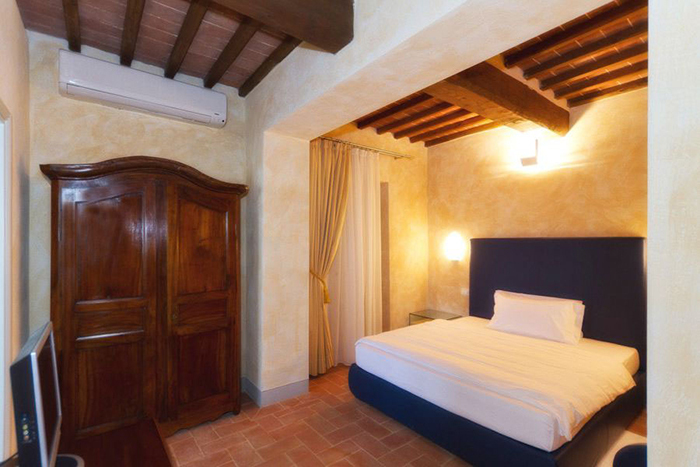 Each of the tastefully appointed guest rooms has a private bath, satellite TV, minibar, air-conditioning, wireless Internet, safe and a phone. 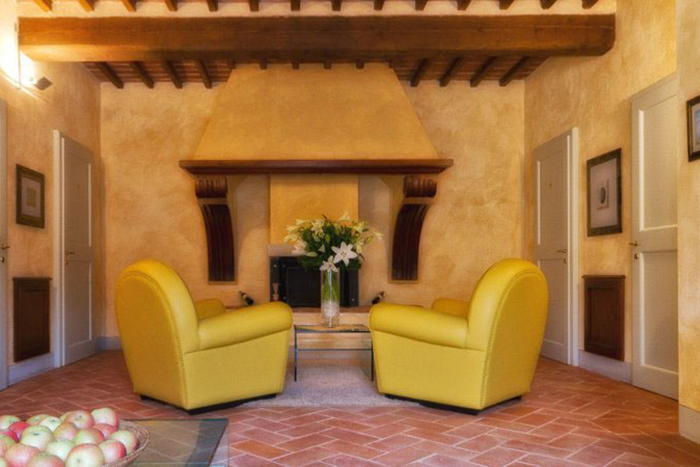 All the furnishings have been selected with attention to detail to create a comfortable, calming ambience for your vacation with friends or family. 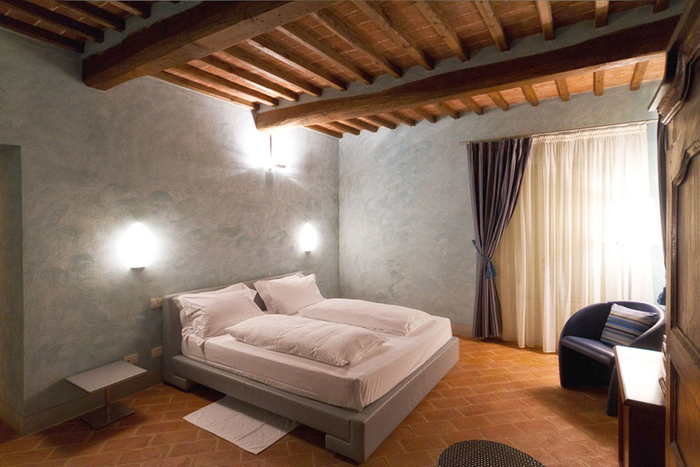 The villa has 9 bedrooms all with en suite bathrooms to accommodate 18 people with 2 extra single beds available for extra guests / children. 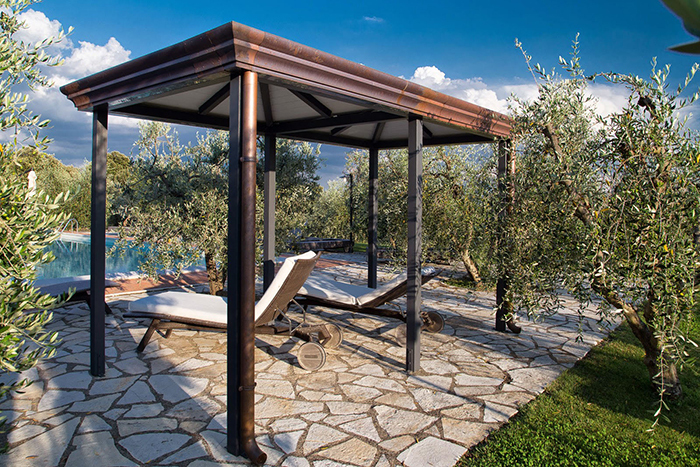 There is a well-kept garden with private pool (12 mt x 5 mt) set in olive groves. 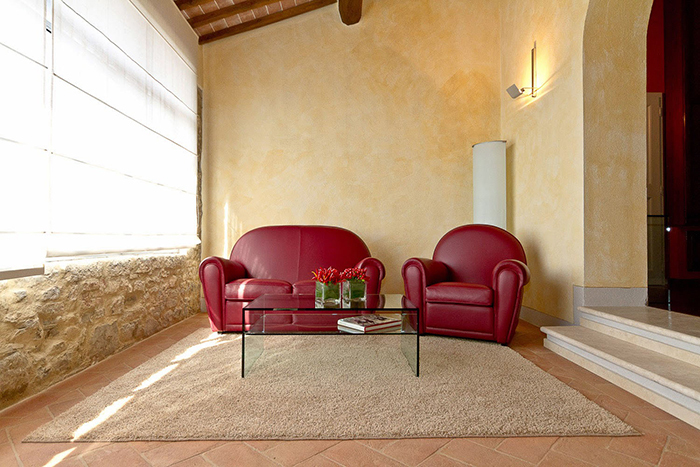 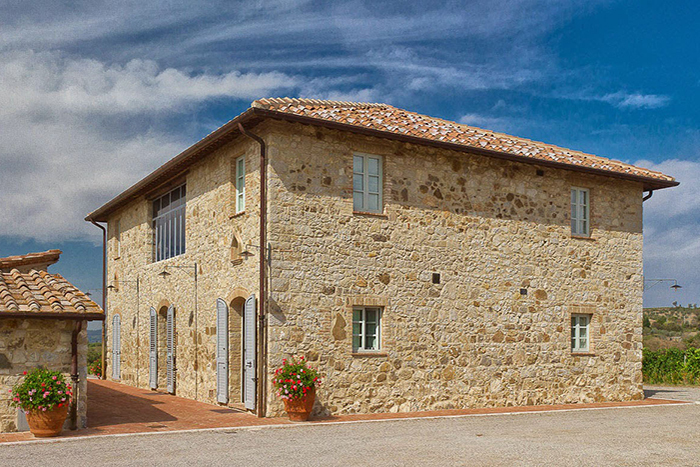 The property is surrounded by Chianti Classico vineyards. 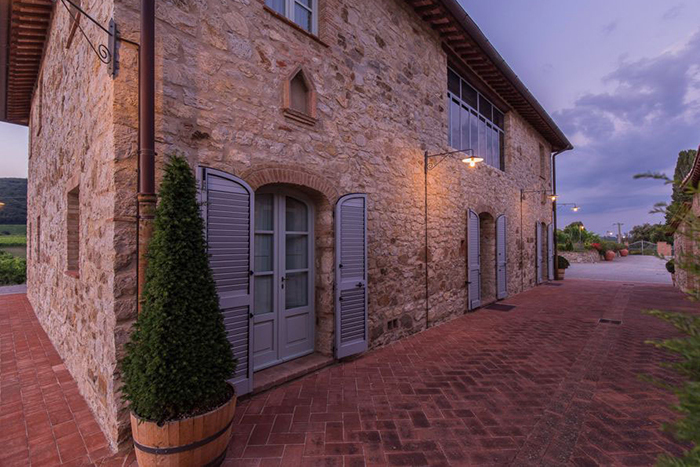 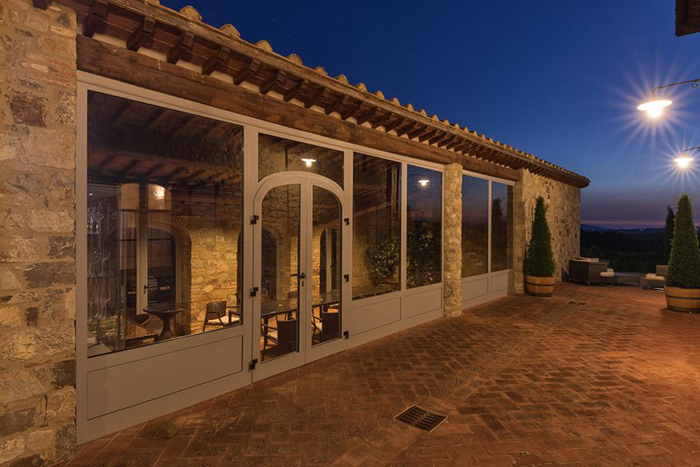 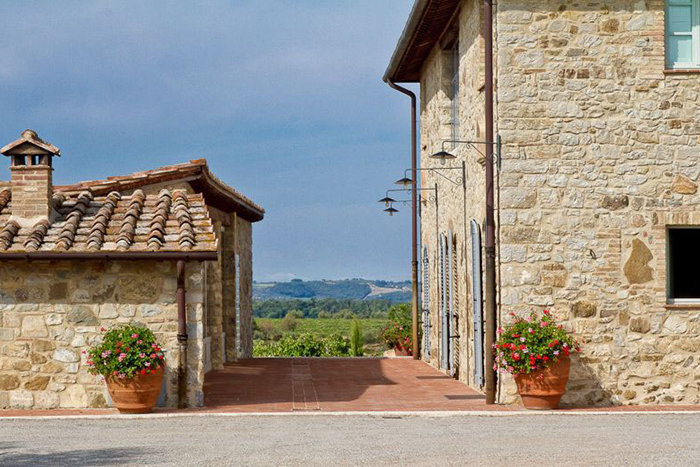 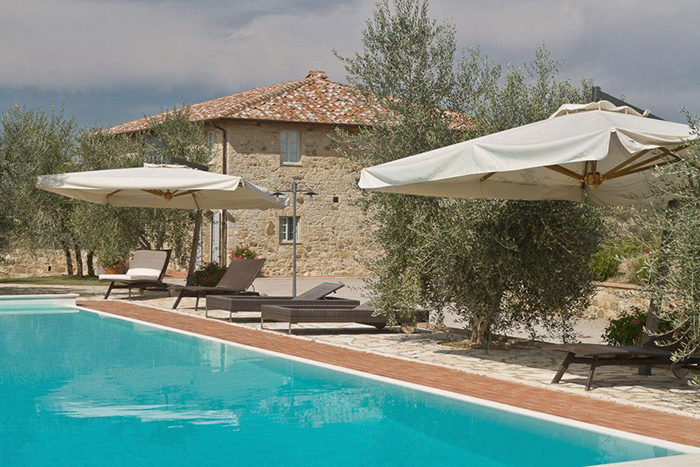 The setting is beautiful with panoramic views over the stunning Tuscan countryside. 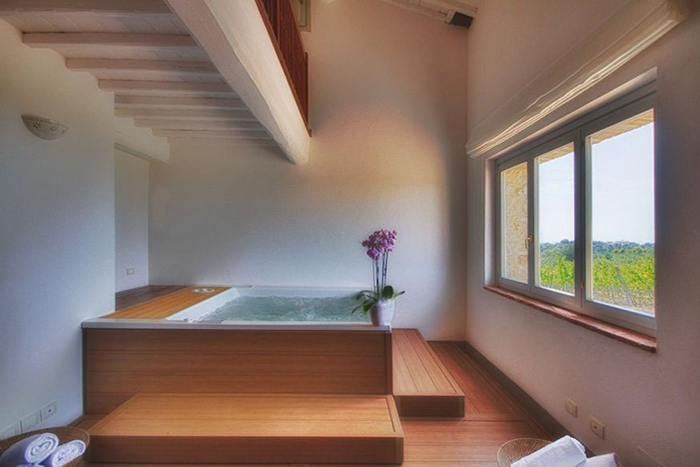 A wellness suite completes this lovely property and it has a Jacuzzi, sauna and Turkish bath (booking required). 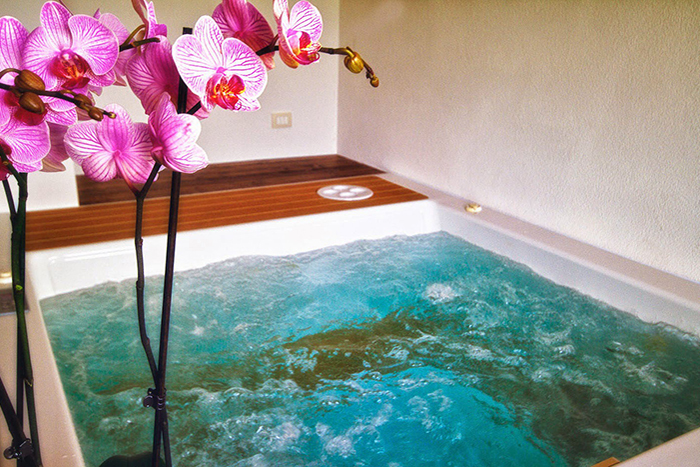 Massage & treatments on request (booking required). 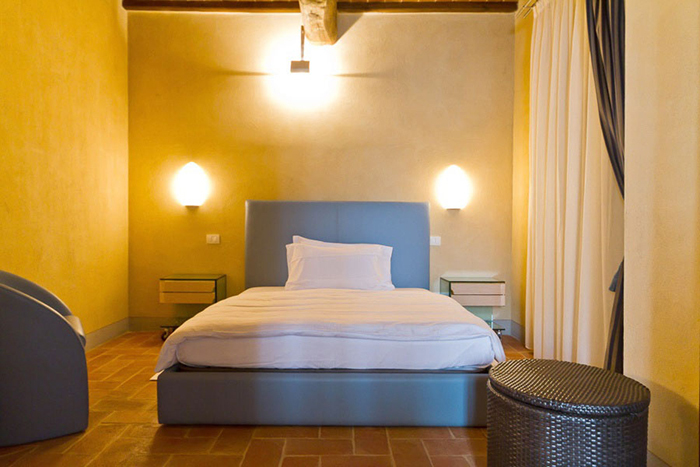 Each bedroom has: private en suite bathroom, satellite TV, minibar, air-conditioning, wireless Internet, safe and phone. 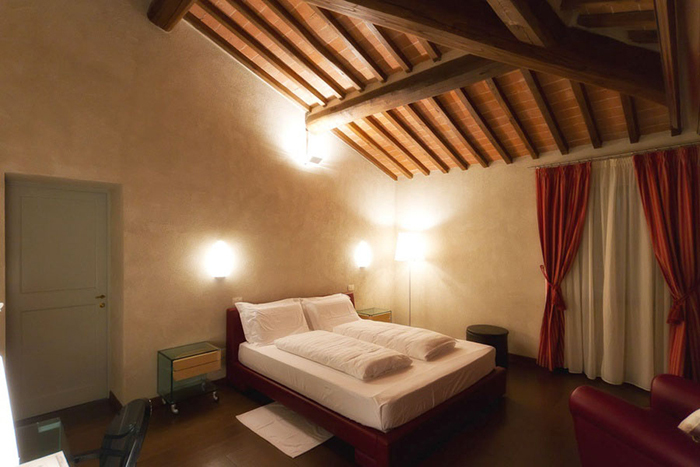 2 extra single beds available in existing bedrooms for a maximum of 20 guests. 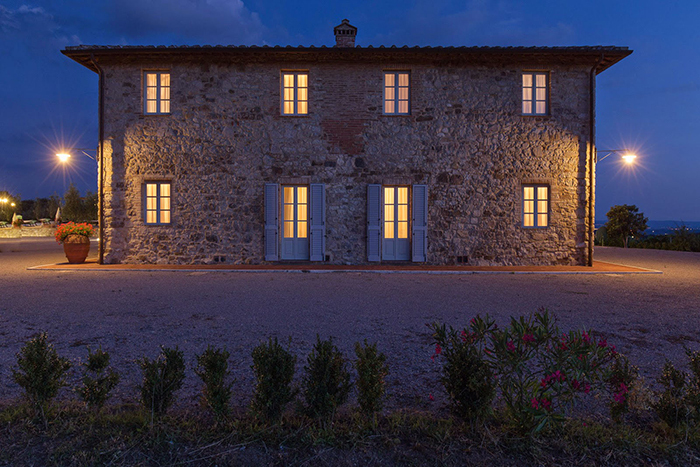 All extras must be paid for in cash at the end of each 7 days.